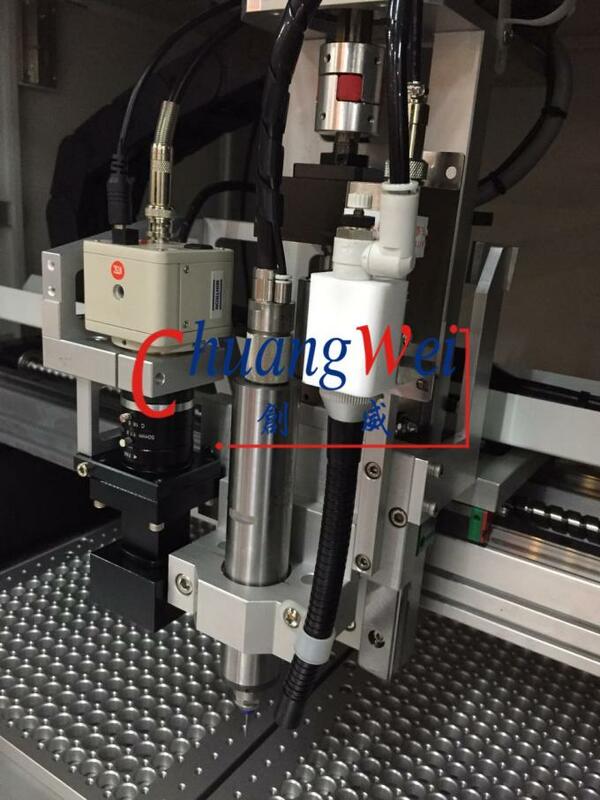 This PCB Separator adopt x,y,z servo motor and driving system and ball screw ,linear guide rail ,ensure machine run smooth and precisely.moving accuracy less than 0.05mm, routing accuracy less then 0.05mm. 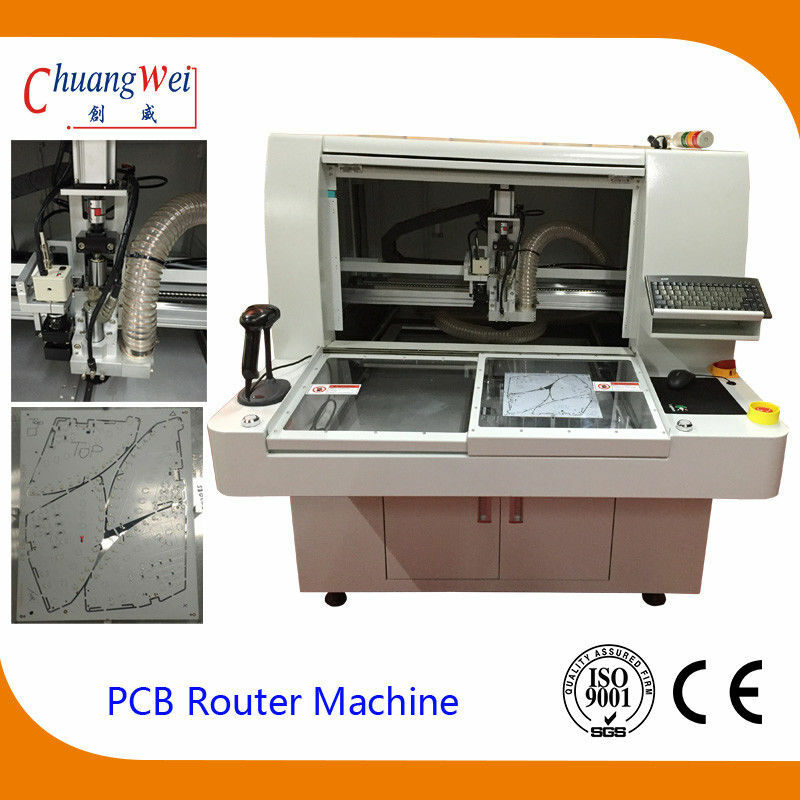 Rotary double work station design makes continuous running ,greatly improve production efficiency . 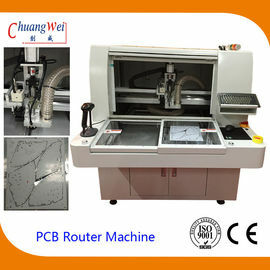 Machine is equipped with high resolution CCD ,use direct teach programming method with cross cursor of CCD, very easy to operate , software can excute point ,line ,arc ,circle etc command to cut different shape of panelled board ,it has mark positioning function ,can automatically correct the coordinate offset when PCB position changed . 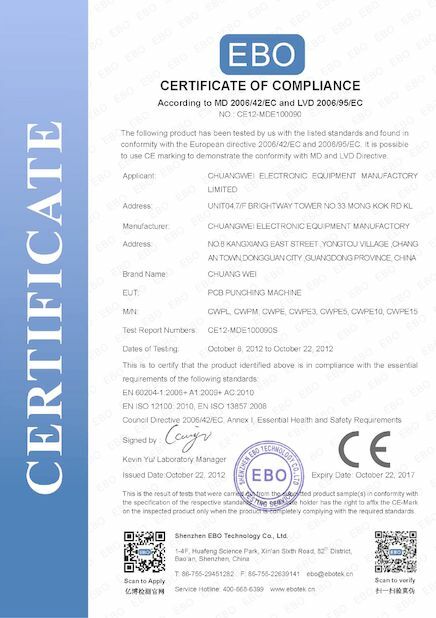 Euipped with quality ,air cooling long service life routing spindle . External silence vaccum cleaner provide a clean and low noise work environment . 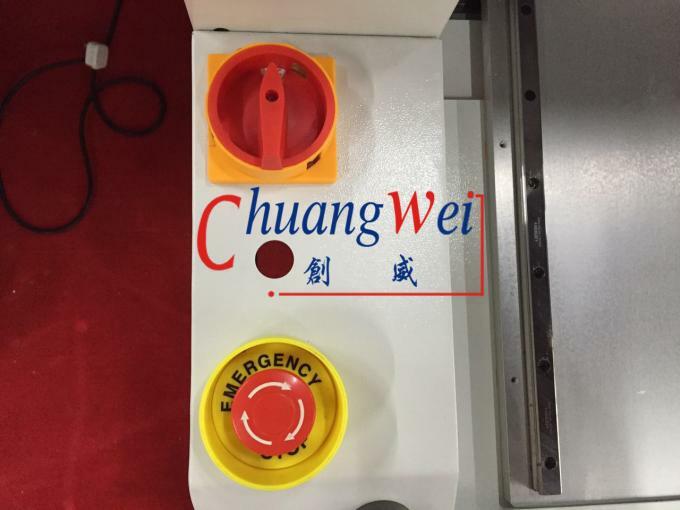 Milling cut can be used as 2 or 3 section , just set the parameter on sofeware , it has greatly prolonged milling cut' service life. 1 . 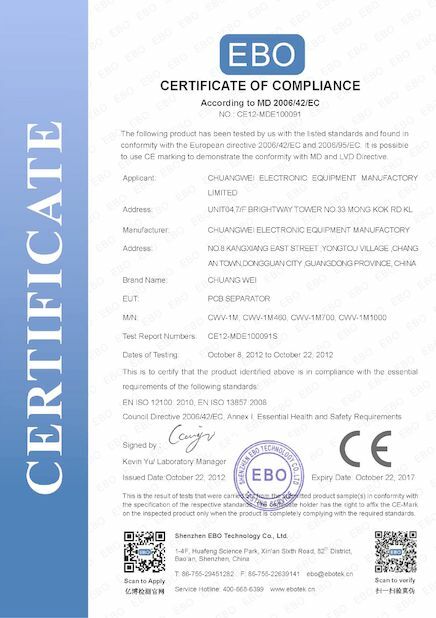 We supply a wide range of products and provide one-stop service for Electronic Assembly Industry . 2 . One year warranty for the machines except accessories. 3 . Effective customer service. 4 . Mature technique & forerunner to process makes high quality machinery.